Nose: caramel, oak, light acidity, refreshing, fruity. Spices. Nutmeg, cloves, tamarind. Mouth: strong, a nice sweetness combined with strong oak, popcorn. Departure: long, soft custard, oak, and subtle, slightly sour fruit notes. A really good bourbon. Luckily he was my first bourbon, because I like him right away. Had my doubts but I'm glad to have bought. Price performance of the hammer. Vanilla, light cinnamon note, sour and yet sweetish, A-oak, clear bourbon note, nutty and almost complex, with this age surprising notes. Now, in short, the bourbon effect I do not like, but then clear sweetness, even sour with spiciness, thought: car polish, it remains a delicate herbal note. OK. Medium long round finish, some oak and therefore also spicy, sweet and sour at the same time, noticeable herbs on the finish. Slightly nutty and warming. N- Initial spicy oak and mellow phenol that evolved to sweet clotted cream and warm pudding, appeared delicious with whiff of spiced orange reduction. Although wee shy and restraint on aroma, but showing good depth with elegant and refinement, and is nice that it is not as oaky and charred as some others. P- Velvety and balanced texture with good proportionate flavours of smokey wood, orange peel and passion fruit. Well matured that throw the usual hints of white oak out of window.F- Medium-long, smooth, chocolate bar with little dried fruits bites. Blooming and ripe with amicable roundness with tinge of fine spicy dry coat with spicy honey undertones. — at The Whiskey Bar, Kuala Lumpur. A very pleasing in the nose, interesting malt in the mouth already subsides and falls down the finish. If you like to smell and in between looking for a cheap bourbon is here with the price performance quite well cared for. However, a long experience should not be expected. In the nose first blue berries such as blueberry, plum and raisins. Vanillekipferl from the cookie tin in which also caramel is hidden. After the first sip, the notes then give way to a smell of wood shavings in the corner of a carpenter's workshop. A little alcohol but a pleasant warming nose. Creamy mild, the first sip goes down the throat with the caramel, which is also reflected in the taste. Dull herbs and citrus are to be guessed. In the finish then not so much what you could write down, he is quite fast away. This was quite pleasant actually! With some air, this Bourbon reveals some if its inner qualities, namely the floral fragrance on top of its usual virgin oak blasts. Certainly always good value. Pineapple, banana, gooseberries, and honeydew. This is very fruity, but also quite evidently Bourbon with a lot of new oak and pistachios. Fragrant magnolias are in there somewhere as well. Sweet arrival. Astringent virgin oak – quickly drying. Toffy, banana, and roasted coconut. Medium-long. Rather dry with lots of menthol, and even some coffee. 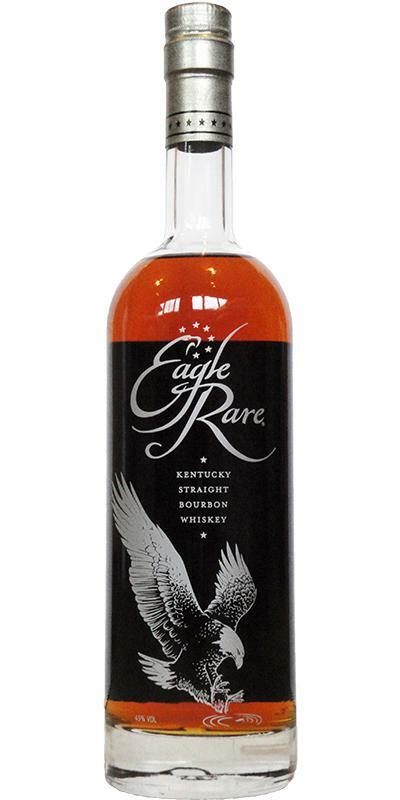 This is actually a wonderful, sweet and very quaffable bourbon. Even is bourbon is not your cuppa, I think you will like this one. All round pleaser. Thanks for the sample, Jan. The nose is rather subtle and still complex enough on toffee and orange peel, leather, honey and touches of oak. Some marshmallows appear, together with some spices. It is soft on the palate and even a bit dry with touches of oak, dark fruit, cocoa and roasted nuts. Make that almonds. The orange peel and toffee from the nose are present here as well, but the spices are much louder than on the nose. Nevertheless, this remains a soft and round bourbon. The finish is medium long and remains sweet on mostly toffee and honey.